Worms and caterpillars are sweet little creatures while some of them have bodies with vivid colors and patterns. 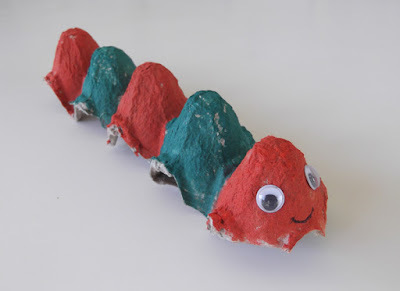 Recycle empty egg cartons and make colorful worms. 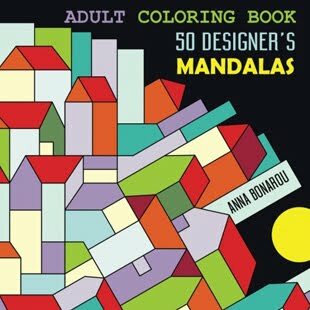 Waterpaint colors or color markers. 1. Take the empty egg carton and cut it with scissors lenghtwise, to make a row of 5 to 6 egg cups. 2. Cut the small triangles between the cups. 3. Cut the front half cup of the carton to shape the head. 3. Paint the outer surfaces with watercolor paints or color markers. You can paint each cup with different color. 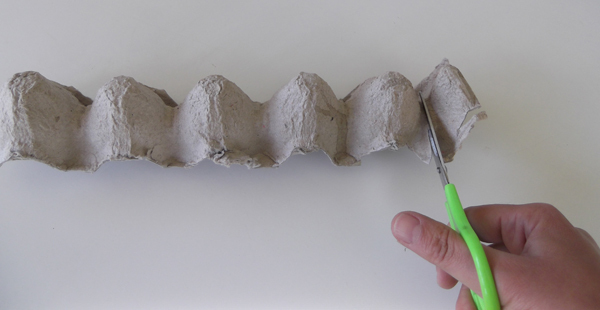 The carton surface absorbs much paint, do add enough water to the paint. 4. Add googly eyes and with a black market pen draw a smile. 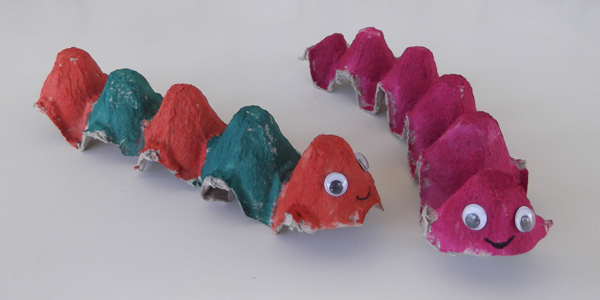 Instead of googly eyes you can draw the eyes on white paper, cut them around and glue them on worm's head. The bodies of many worms, caterpillars and snakes are full of colors and patterns, either geometric or abstract. 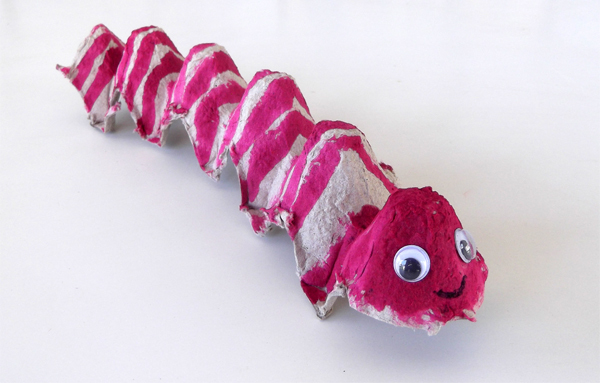 Try to draw worms with striped or spotted bodies.